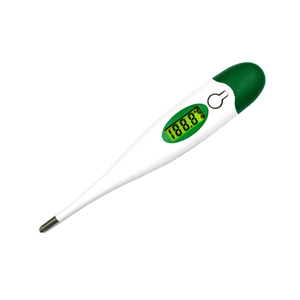 The CM-562 is an easy to use infra-red thermometer designed for home and clinic use. It measures temperatures via the ear or forehead and also measures ambient temperature. The infra-red technology scans the area 512 times to show a temperature measurement in one second. 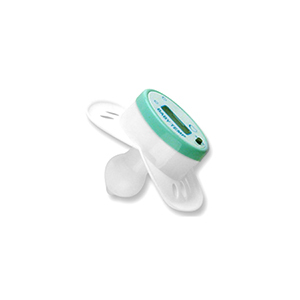 The device has a fever alarm function stores up to10 measurements and in its memory and it is supplied disposable ear cover for hygiene purposes. The CM-561 is powered by 2 AAA alkaline batteries (supplied) that last for approximately 4000 uses. 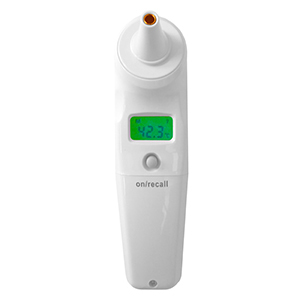 The CM-561 is an economical digital infra-red ear thermometer designed for home and clinic use. It has a temperature range of 34 - 44°C with an accuracy of +/- 0.2°C. The CM-561 has an approximate measurement time of 1 second. It has a hi/low beeper function and an auto shut off facility. The device stores up to10 measurements in its memory and it is supplied with 20 disposable ear cover for hygiene purposes. The CM-561 is powered by 2 AAA alkaline batteries (supplied) that last for approximately 4000 uses.